The Middle Segment (VI – VIII) comes under this category. This section is headed by our efficient coordinator Ms. Sandhya Tiwari. After the pampering stage, here the students are taught discipline through playful and kind attention. They are also taught to learn while doing through lot of activities, such as: special assemblies, street plays, recitation, cultural events, involvement in art and craft etc. This age group is taught not to be dependent on books solely but also to learn through practical and from day to day life. The requirements of this age group i.e to be tender while being handled is very well fulfilled by the TGT team. We strive to provide opportunities for children to step beyond the confines of classroom learning and the immediate context to explore new places and adventures. Through innovative techniques we expose students to a stimulating and enriching learning experience. We believe that a teacher should play the role of a facilitator and not just a dissemination of textbook know. Through interactive and engaging classrooms they ensure that children are active participants rather than passive listeners. The integrated learning approach is an activity-based learning process where experimentation, self-discovery, high level of engagement and hands-on experience are given importance rather than simply rote learning. Personal, academic, social and emotional development is given importance over basic cognitive development, ensuring that reasoning is not neglected. This interdisciplinary approach creates eager and active learning skills in students and ensures their overall development. Moral values through value education is an integral part of the curriculum. 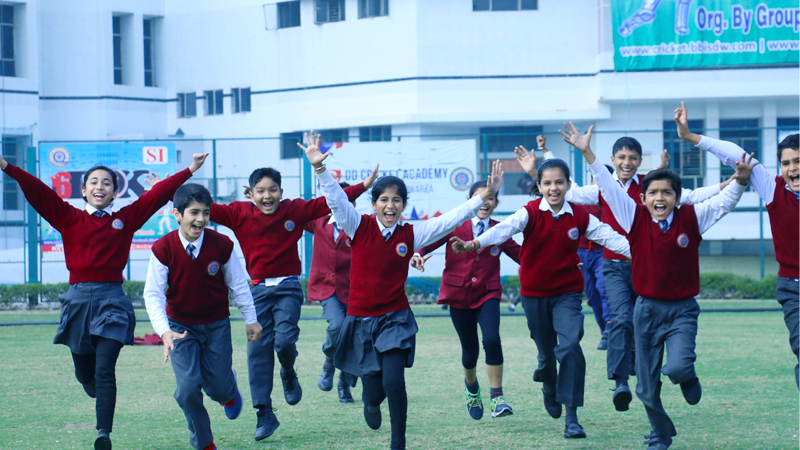 Co-curricular activities help children to explore various domains of their personality. Special attention is given to children who require improvement in studies through remedial classes. The children who excel in studies are given opportunities to boost their morale.